From small beginnings in a workshop in Dewsbury, Extract Technology quickly established a prestigious international client portfolio based on a reputation for excellence. Now based in Huddersfield and owned by US-based Wabash National, Extract Technology has consolidated its position as one of the leading containment and aseptic manufacturers in the world. During the course of 2017, Extract Technology turned its attention to cell therapy and embarked on the development of a novel workstation. A modular aseptic solution was conceived and a prototype prepared for testing. At this point, Extract Technology turned to UDL for advice on how to secure its patent rights before the product was launched. Having working with Extract Technology for over 15 years, Dr Garry Stuttard was uniquely placed to understand and implement an effective IP strategy for its products. 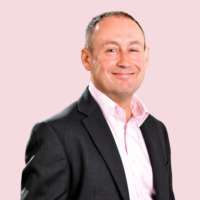 Garry has over 25 years’ experience in assisting individuals, universities, small and medium sized enterprises and large corporations to secure patent protection, and has been involved in a broad range of technologies. He was able to use this experience to gain a detailed technical understanding of the unique aspects of the modular cell therapy workstation and to file a comprehensive patent application quickly allowing the client to proceed with its plans without risking its rights to its invention. Extract Technology was able to go ahead with its product launch, safe in the knowledge that the modular cell therapy workstation is subject to ‘patent pending’. For more information please contact Garry Stuttard gps@udl.co.uk.